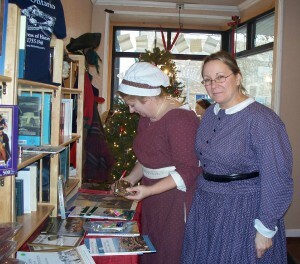 OSWEGO – The Holiday History Shop is located in the SUNY Oswego Downtown Store at 186 W. Bridge St.
Jenny Emmons and Caroline Lamie of Fort Ontario look over the wares at the Holiday History Shop. It will be open now from noon to 5 p.m. until December 19 and then again, December 21 through 24. The shop offers souvenirs and memorabilia from several museums and historical societies from the area. Participants include the Friends of Fort Ontario, H. Lee White Maritime Museum, Oswego County Historical Society (Richardson-Bates House Museum), Oswego Public Library, Safe Haven Museum and Education Center and the Scriba Historical Society. 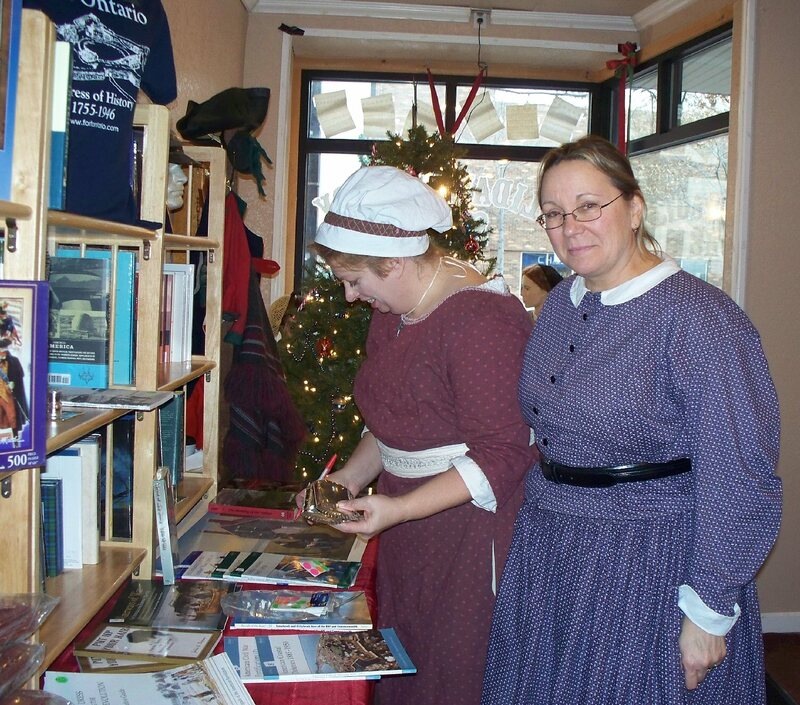 Items sold at the Holiday History Shop make great gifts and the proceeds benefit the museums and organizations that preserve and present Oswego County’s rich history to its residents and visitors. Each purchase supports these groups as they work to promote Oswego County’s significant role in commercial, industrial, farming and military history. 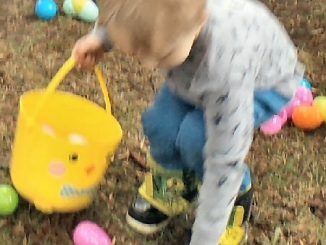 Shoppers will enjoy browsing a variety of clothing and hats, games and toys, books, models, prints, ornaments, and calendars. Memberships are also available at the shop. Special discounts do not apply at the shop. The historical societies and museums would like to express their sincere thanks and appreciation to SUNY Oswego for its support of the historical groups of our community.